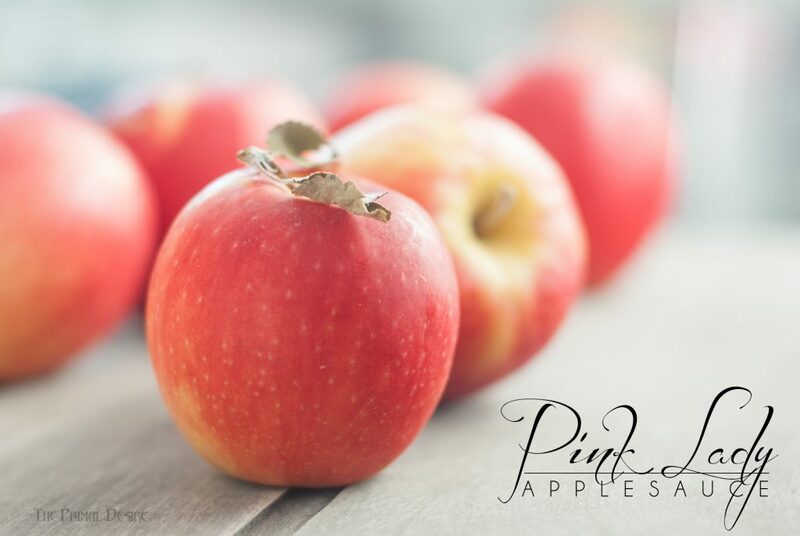 Pink Lady Apples are my favorite late harvest variety. I mean, how fun is it making “lady sauce,” “lady tart,” “lady juice” or many other recipes? I buy a box or two of the “Ladies” in November, then I can enjoy them all winter. 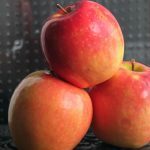 Pink Ladies is a TM name of the variety Cripps Pink. This delicious tart and sweet apple is a hybrid of Lady Williams and the better known Golden Delicious varieties. Some of the Ladies were looking a little tired, so I decided that Pink Lady applesauce in my Instant Pot would be the best use. I am also fermenting scraps to make “lady vinegar”, so watch for those instructions in a few weeks. Made an attempt at steam juicing in my Instant Pot… but I was not successful… ended up taking my steamed Pink Ladies and making more applesauce, so I'm still working on that. 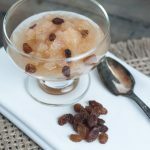 Have you ever made applesauce in your Instant Pot? It is SO easy. So easy I feel like this doesn't deserve to be a recipe. I'll include a stove top version and canning instructions as well, that may help me feel like a legitimate food and recipe blogger. 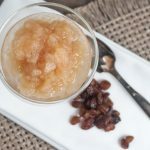 You do not have to water bath can Pink Lady Applesauce- you can eat it all, store it in a container in the fridge (it should last about 10 days), or freeze! If you do decide to freeze the pink lady applesauce, put it into a silicone muffin mold, then, pop them out storing in another container. Easy peasy you can pull out a cup of applesauce at a time. Enough for a recipe, or eating enjoyment! 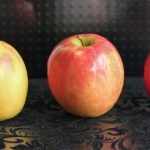 You obviously don't HAVE to use Pink Lady apples, there are many different varieties. 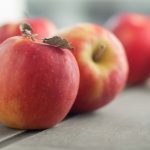 Use the apples that are easiest to get, or on sale! One of my favorite things to do is cruise the discount table/ bin in the produce section. When making jam or sauce like this; a couple bruises are easy to cut out and will still taste great and cost less, making room in your food budget. Who doesn't like to save money? 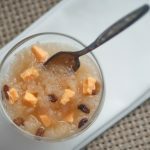 There are a few different variations you can try: Curried applesauce? Apple pie applesauce? And so many optional toppings!! Raj used raisins and cheddar cheese, we all know how Raj feels about cheese! 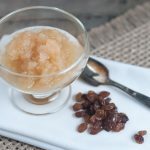 This version is simple with just a couple ingredients, mostly because I love the taste of Pink Ladies naked, (haha I said, “naked ladies”). But you can do whatever you would like, as long as you are freezing the lady sauce or eating it right away. 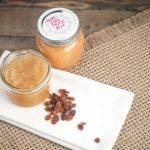 Check the national canning website and keep in mind the PH of applesauce may change with additives, and to be mindful if you are water bath canning. 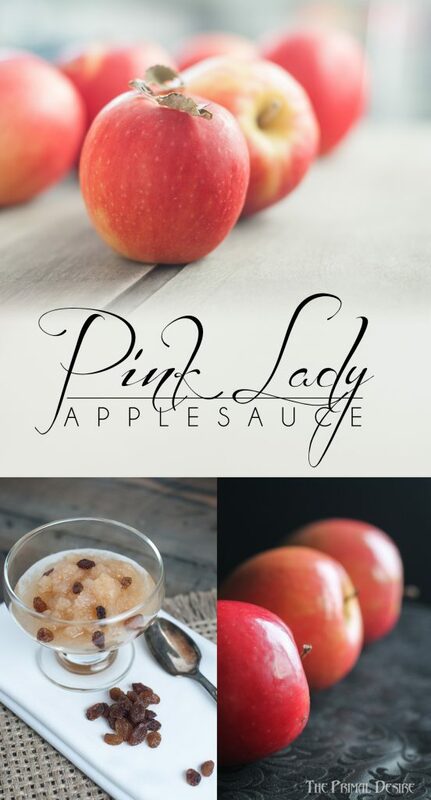 So simple and easy, 3 ingredient Pink Lady applesauce will be a hit with the entire family. 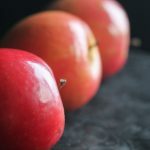 Peel, core and quarter apples placing them in the Instant Pot liner. Place the lid on and press manual, 5 minutes. The Instant Pot will take 8-10 minutes to come to pressure before counting down the cook time. Mash or use an immersion blender until you reach the desired sauce consistency. Spoon into sterile jars, or measure into a silicone mold for freezing! 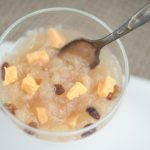 So easy, with only a couple ingredients Pink Lady applesauce will be a hit with the whole family! Add water and lemon juice, bring to a boil, reduce to a simmer. Simmer 45 min or until apples are tender, mash or immersion blend to the desired consistency. Spoon into sterilized jars or measure into a silicone mold for freezing. Set one large pot (filled with water) on the stove to boil, once it comes to a rolling boil, sterilize all of your jars and lids. Turn your water down so it stays hot, but not boiling. Fill your canning pot with water and start to heat, you need enough water that when jars are immersed there will be about an inch of water over the top. Take your applesauce and hot pack, meaning you can put it directly into your sterilized jars. 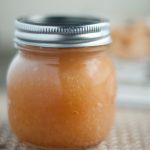 Using your chopstick or fancy canning tool to remove any air bubbles from the jar by moving the applesauce around. The air can cause an issue sealing, diminish the shelf life, and cause discoloration. Put the hot and sterilized lids on and screw the ring on. You want it finger tightened, but not too tight. When your timer is complete, remove jars carefully from the boiling water and put on a thick towel. Leave them alone now for 24 hours. As they cool you will hear the “pop” of cans sealing, this is the sweetest sound when canning. After 24 hours, any cans that haven't sealed, (the top is not concave), refrigerate and consume within the next few days.